Home builder Remodeler Roof cleaning Moss removal Weigel Homes Inc.
We can create that dream kitchen or bathroom faster than you think. With design services and relationships with local suppliers we make a remodel go nice and smooth. 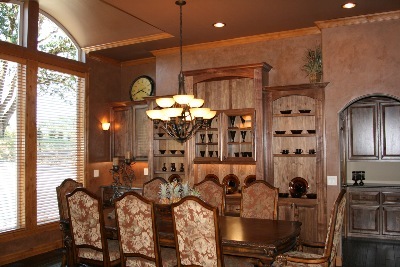 Custom Den's, dining & wall cabinetry. Porch covers any size for any need! How about that swimming pool or sun room. The Demo Crew for the Extreme Makeover on the school for the deaf! The build crew for the Extreme Makeover school for the deaf! Tye giving us our daily instructions!